Scans of Atarimuseums software collection. 8-bit covers titles starting with numbers. Scans of Atarimuseums software collection. 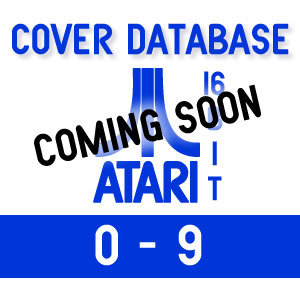 8-bit covers titles starting with the letters a to d.
Scans of Atarimuseums software collection. 8-bit covers titles starting with the letters e to h.
Scans of Atarimuseums software collection. 8-bit covers titles starting with the letters i to l.
Scans of Atarimuseums software collection. 8-bit covers titles starting with the letters m to p.
Scans of Atarimuseums software collection. 8-bit covers titles starting with the letters q to t.
Scans of Atarimuseums software collection. 8-bit covers titles starting with the letters u to z.
Scans of Atarimuseums software collection. 16-bit covers titles starting with numbers.